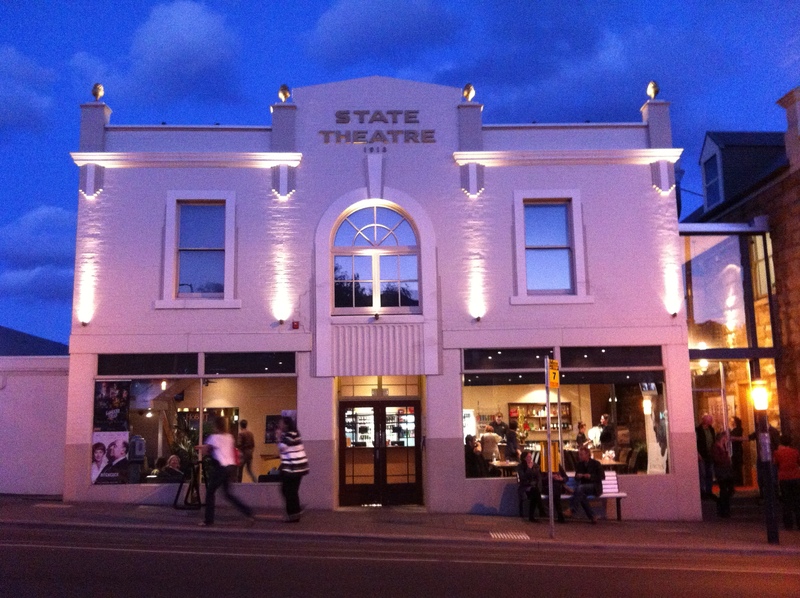 The other night I went to this wonderful theatre in Hobart, Tasmania. Did I say I am visiting friends in Tasmania? Yes I am and these friends are the ones that enlightened me to this great movie theatre. The people who own this theater have fixed it up to be quite unique. There are different areas in the building that house different theatres. We saw the “Life of Pi” in one room. It wasn’t a big room which made it all the more special. Beforehand we bought wine and some chocolate and were able to bring it in with us to have during the show. There were other snacks that could be bought in the lobby but popcorn was not one of them nor were there any of the usual candies that attract children but instead the snacks were geared more to adults with a sophisticated palette.